Browns coaches represent one of the two staffs summoned to instruct sides at the Senior Bowl, and the team made a specific request. The Browns asked Deshaun Watson to play in the Senior Bowl only to see the Clemson quarterback pass on the opportunity, Peter King of TheMMQB.com reports. Despite being a junior, Watson was eligible for the game due to having graduated early. Neither of his potential first-round peers, Mitch Trubisky and DeShone Kizer, are eligible to compete in the top college all-star game. Watson would have played for the South team, which the Browns’ staff is instructing. Bears coaches are leading the North squad. The Browns have been linked to both Watson and Trubisky recently, but the latest report coming out of Cleveland pointed to the Browns eyeing Watson with their No. 12 overall pick. The direct communication with the dual-threat passer certainly points to this interest. Here’s more from Cleveland and other AFC North cities. Multiple key Browns assistants are no longer in the picture, with the team firing Ray Horton and watching Pep Hamilton follow former boss Jim Harbaugh to Michigan. The team went with a big name in filling its DC vacancy with Gregg Williams but did not take the same route to fill Hamilton’s role, promoting tight ends coach Greg Seamon to quarterbacks coach, Cabot reports. Seamon followed Hue Jackson from Cincinnati to Cleveland in 2016 after spending 12 years with the Bengals but has a longer history with the coach. Seamon coached Jackson while serving as offensive coordinator at the University of Pacific in the mid-1980s. 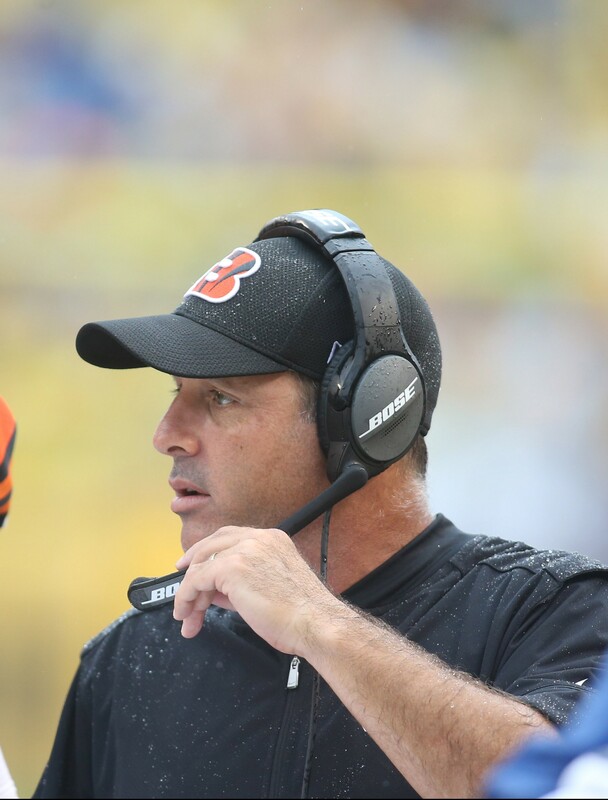 The Browns are also shifting Mark Hutson from assistant offensive line coach to tight ends coach, Cabot reports. Prior to arriving in Cleveland last year, Hutson’s only previous NFL coaching job came in overseeing the Raiders’ tight ends from 2012-14. Le’Veon Bell said he injured his groin prior to the AFC championship game, Barry Wilner of the Associated Press notes. The franchise tag candidate played just 11 snaps against the Patriots in the Steelers‘ 36-17 loss. He declined to say when exactly he injured his groin this season but acknowledged he didn’t feel right during warm-ups. The Ravens won’t be able to afford Ricky Wagner if the hype surrounding the UFA right tackle continues to build, Jeff Zreibec of the Baltimore Sun writes. Pro Football Focus’ Cris Collinsworth listed Wagner as his No. 1 under-the-radar free agent, and NFL.com’s Gregg Rosenthal recently said he could fetch as much as $10MM per year. That would be quite the raise considering only one tackle, Lane Johnson, averages more than $7MM AAV. But Zreibec sees too many needs for the Ravens to go that high to retain Wagner. Zreibec identifies Mike Wallace, Elvis Dumervil, Lardarius Webb and Jeremy Zuttah as potential Ravens cap cuts. Having missed the playoffs three times in a four-year span for the first time since the 2004-07 stretch, Baltimore is projected to have barely $15MM in cap room before any cuts occur. Zreibec expects several veterans to be released. The Ravens can save more than $11MM by cutting both Dumervil and Webb.